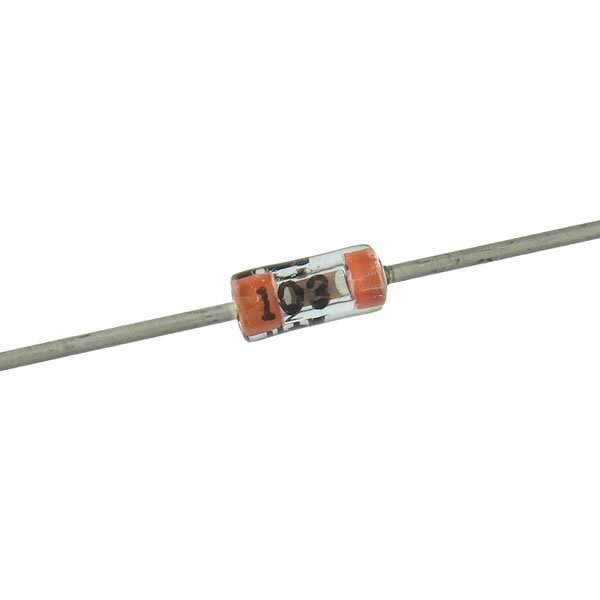 This glass case DO-35 is the same size as a 1N4148 diode, however it is a 0.01uF ceramic capacitor. Full length axial leads. Sold in a package of 25.